I recently discovered fountain, a markdown syntax specifically designed for script writing. i have done a couple of experiments with it, both quite successful. The real test though is how well it imports into Celtx, my script writing software of choice. And I must say it works pretty well. i had to make a couple of minor corrections with parentheticals. I made a couple of errors when I composed the base document, but that was easily remedied and when I corrected the base document, it imported cleanly. I have been an avid user of Celtx for years. The product is solid and has a robust user community. Their updates are well thought out and their Studio application/eco-system that supports more than just writing scrips is great for those on a budget. The only negative is that it is web based (with some features available for iOS). In most cases this is not a big show stopper, unless, like me, you are disconnected when you do your primary writing. The iOS apps do allow for off-line editing, but what about when I am using my Linux desktop? Celtx no longer supports their desktop client (and I never could get it to run on Linux properly), so for these situations, the fountain format is a great find. It has a robust ecosystem around it and is also good for those who are just starting out and looking for an entry into script writing. Experienced script writers will like a number of power features that allow you to go from treatment to script in the same document, depending on how you post-process it. And because it is an open standard, it allows you to store and reprocess scripts over time. A major plus as the software landscape is always changing. Another nice feature is the ability to embed script segments into a blog with a nice WordPress plug in. As you can see, it is quite a nice little feature, and no additional work on my part than wrapping the text. The door crashes open and BILL TURNER crashes into the room, blood pouring from two gun shot wounds. He is holding his abdomen as he staggers and falls to his knees. ALICE GEORGE is sitting on the couch. Who are you! What are you doing here? Bill falls to the floor. If you are not already familiar with it, I encourage you to look into it and see if it fits your needs. I am more than happy with what it provides. Starbucks, it is time to rethink our relationship. It has been a good run. Almost twenty years of providing me a morning jolt, a quiet place to sit and prepare for the day, a quick breakfast on the way to any number of events. But I think we have come to the end of the run. Now do not get the wrong idea. The quality of the prepared food is still acceptable, and the coffee is still what gets me going in the morning most days. And least you think I am upset about the new rewards program, I am not. In fact, it suits me better than the old one. On any weekend I am expending $40 a day and only getting one star for that, the same as for buying a bottle of water. But I was not in the reward program for the stars. Heck, I probably have let more than a dozen free drinks fly by. No, I am afraid the problem is service. Pure and simple. Starbucks used to be the gold standard for customer service. But lately, something has come off the rails. And not just a little. Allow me to illustrate. I have two Starbucks within a mile of my house, pretty much on the same street. I pick one over the other by proximity. What we call in the business, the intervening opportunity. I visit the store that is closest to what I am doing at the time. Today, when I pulled up, there were fifteen cars in the drive-through. When I walked into the store, there were at least ten waiting to place their orders. This being a Saturday, you can expect that most people are ordering more than one item. I did not even pause, but turned on my heel and left. With only three people behind the counter, I did not have much confidence that I could get in and out quickly, and I had a bit of a time crunch. Instead, I went to the other shop. Again, busy, but not as busy and the people ahead of me were only ordering one item. I placed my order and waited. This is where we come to the second problem in service, quality control. My daughter likes frappuccinos, but is not a fan of whipped cream. Go figure. So I always order hers without. Starbucks, if you could make one rapid improvement, it would be in the literacy of your baristas. In the dozen odd years I have been ordering her frappuccinos, without whipped cream, your baristas have got it wrong 50% of the time. And in 90% of those cases, it has been marked correctly on the cup! I am not going to expect perfection. The baristas are human. Stuff happens. I expect that an order will be wrong on occasion. The problem is that the definition of occasion is not weekly. Worse, if this was something that happened in only one store, I would have a quiet word with the manager and that would be that. But it is not just one store. And it is not the only error, which have run the gamut from missing coffee in coffee drinks, missing syrups and sometimes straight up the wrong drink. I could go on. Since most of my drinks are coffee drinks, I am usually far away from the store before I notice something wrong at which point it is more of a hassle to go back. Which brings me to the last issue. I would have words with the manager, but I cannot easily tell who the manager is. I am the first one to say that leadership and age are not synonymous, but sometimes the oldest person in the store is the worst offender and the youngest is the manager. Maybe if you make them stand out like the coffee masters, it would be easier to bring these issues to their attention. Are these insurmountable issues? No. Are they resolvable? Yes, and in many cases, very easily. If it was just one store, I would chalk it up to that store and find another, but it is apparent that it is systemic. And because of this, I am considering my alternatives. Including making it myself. It is April, and at least in Washington, DC, that thing called climate change is in full affect. And by full, I mean temperatures are below normal and we are likely to go from winter into full summer with no spring. It feels like November, so, why not write? 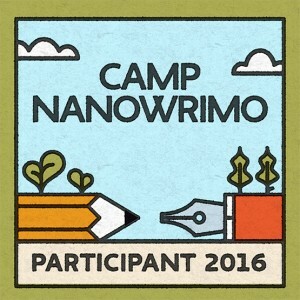 It is time for Camp Nanowrimo, or as the old guard used to call it Script Frenzy. And while you can write a script, that month dedicated to just writing scripts has expanded. 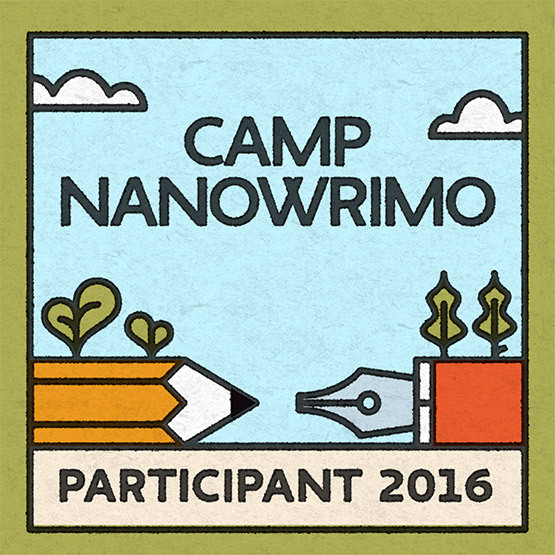 Again, the goal is 50,000 words in 30 days, or about 1,667 words a day. As today is April 4, and I have yet to come up with much of an idea about what I want to write, this may end faster than it began, but it may also prove out to be successful. I have been known to turn and burn on a book, or script in fifteen days. So all hope is not yet lost. But, if you have ever wanted to write that great insert your nation here novel, this is your chance. Anyone can do it. So, what are you waiting for? 1,700 words takes as little as an hour a day to crank out. All you have to do is start.